Product Consists : Cuddly Bear Love Greeting Card (Size : Height : 11 inches and Length: 8 inches ). Love is the most beautiful thing, so it must be expressed beautifully. 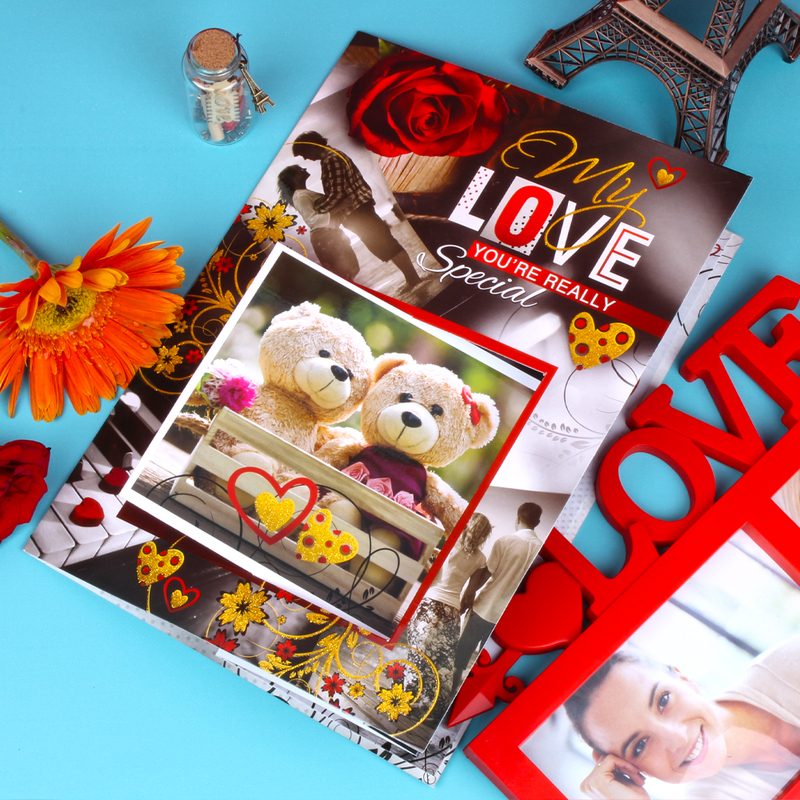 Present your love with this lovely card adorned with a couple teddy bear with golden words of love. 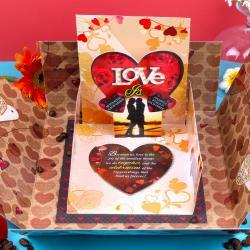 This greeting card is perfect to express your love for her or him in the special way. 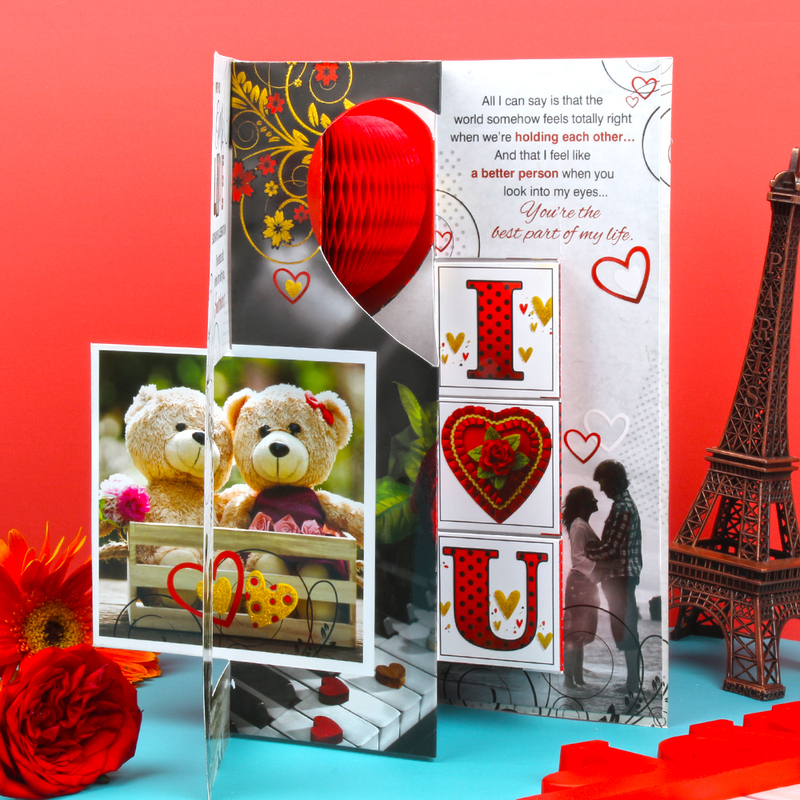 This stylish card will not only make any day special for your beloved, but will also make for a cherished keepsake. 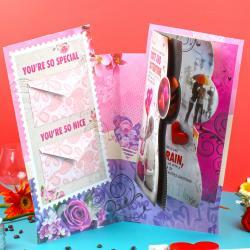 Send this lovely greeting card and surprised yours beloved in India. 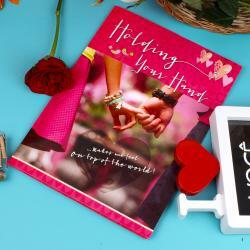 So, go ahead and make your sweetheart feel loved on any special day like Valentine':s Day. 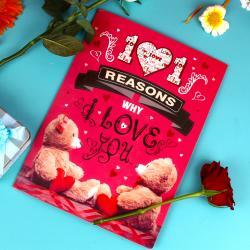 Product Includes : Cuddly Bear Love Greeting Card (size : Height : 11 inches and Length: 8 inches ).